Apple's iPad finally gets a share of Microsoft Office programs including Word, which officially rolled out March of this year. The arrival of Office for iPad then has offered users an option to replace their laptops with a tablet for document processing. And so some users did go for a tablet replacement, but later on realized the need for external keyboards to do lots of typing in Office easier. 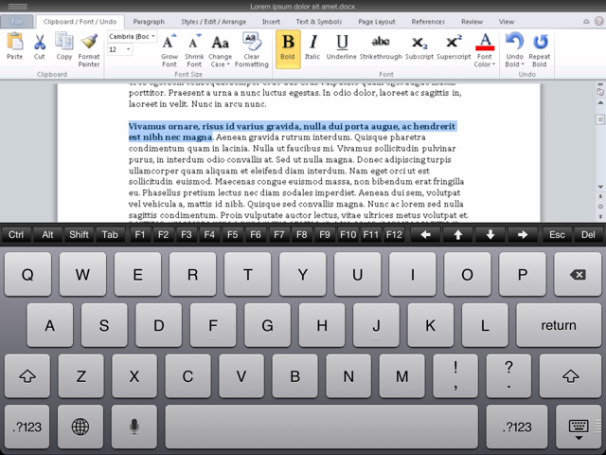 To increase the iPad's productivity, Bluetooth keyboards for iPad come to play. Emphasized in this content are essential keyboard shortcuts for iPad users of external keyboards, to become more productive in using Word for iPad.